Nearly two years ago, a few colleagues and I founded an organization called the Women’s Global Empowerment Initiative (WGEI). We promote global education in Morocco for young women of color in low-income high schools in Atlanta, Louisville, and New Orleans. 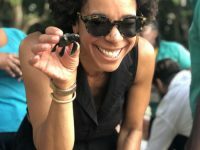 Our vision is to provide young women of color with a unique professional edge by offering opportunities for language exploration, global education, and emotional literacy. 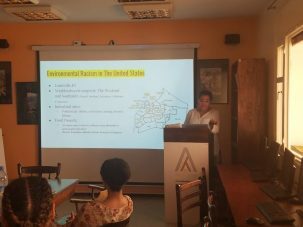 With our partner organization, Dar Si Hmad, located in Agadir, Morocco, students have lectures on the global intersections of race, gender, and environmental justice. 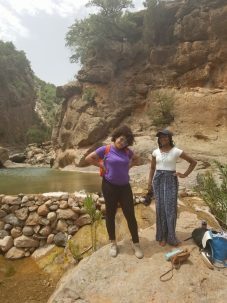 Students also have excursions through which they build personal and professional relationships within Morocco’s southwest community. 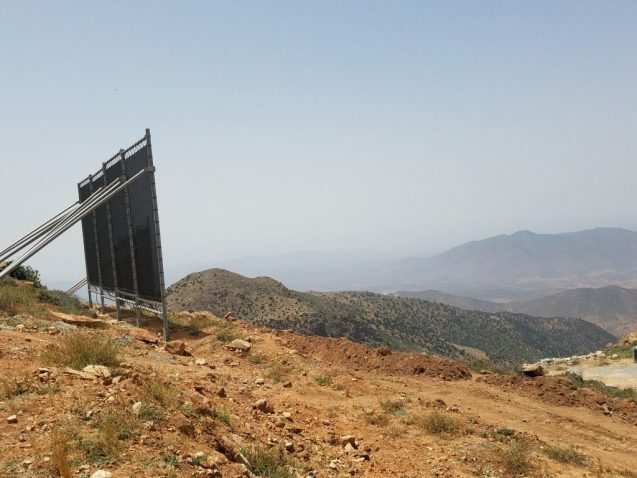 While Dar Si Hmad has a wide array of programs such as environmental education programs for Moroccan students and language and cultural programs for Amazigh (Berber) history, what the organization is most known for is its innovative fog nets on Mount Boutmezguida in the Anti-Atlas Mountains. This set of nets is the largest, most scientifically advanced, and cost-efficient of its kind. This project won the United Nations Framework Convention on Climate Change Momentum Award in 2016 and won the Prix Suez from the Institut de France just a few weeks ago. With support from Columbia’s Advanced Consortium on Cooperation, Conflict, and Complexity (AC4), where I’m a graduate fellow, I have been able to run a second pilot this summer while beginning to assess the outcomes of WGEI’s student program with Dar Si Hmad. 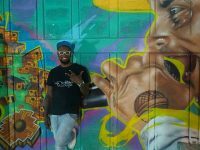 Our program has several themes; however, we were able to focus more heavily on environmental justice this summer. While we have been based in Agadir in the southwest region, a few days ago, we took an excursion a few hours south of Agadir to Sidi Ifni. During this excursion, students spent a day hiking up to Mount Boutmezguida to see Dar Si Hmad’s fog net project firsthand. With just a few days left of our journey, the WGEI team will continue to track these trends in our students. Our hope is to build upon this program so that we can impact a larger number of students, such as Adriana. For now, I am grateful for the support from AC4 in continuing to implement WGEI’s second summer program in Morocco. Upward and onward. This post was originally published on the blog for Columbia’s Advanced Consortium on Cooperation, Conflict, and Complexity. Rachel Kirk is a 2018 AC4 Graduate Student Fellow, pursuing a MA in International Education Development at Teachers College, Columbia University. 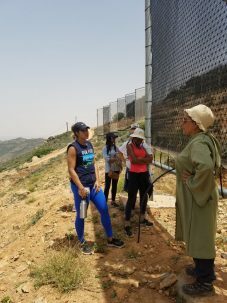 This summer she travelled to Morocco to focus on increasing accessibility to global education, particularly for young women of color from low-income high schools in Atlanta, Louisville, and New Orleans, and to focus on the intersections of race, gender and environmental justice.